A woman convicted of illegally whitening people’s teeth has told BBC Scotland she did not know what she was doing was against the law. The General Dental Council (GDC) says only registered dentists should carry out teeth whitening. But private companies offer training in how to oversee the procedure. Brenda McFadyen, from Clydebank, was fined £1,000 after she pled guilty to the illegal practice of dentistry at Glasgow Sheriff Court last month. Celebrity culture and reality shows such as The Only Way is Essex have contributed to a big growth in the popularity of teeth whitening treatments. The procedure involves bleaching your teeth using a whitening product usually containing hydrogen peroxide. Figures suggest one in eight Scots have had their teeth whitened but it is against the law for anyone who is not registered with the GDC, which regulates the UK dental industry, to practise dentistry. 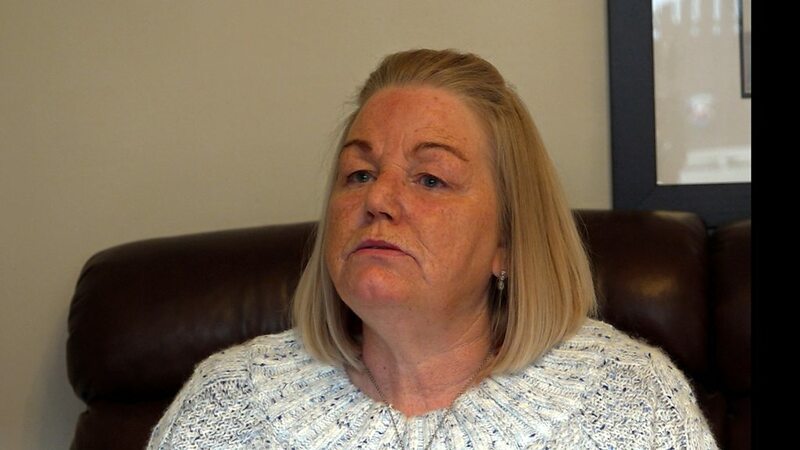 But Ms McFadyen said she did not know she was doing something illegal until the police knocked on her door in Clydebank on a Saturday night earlier this year. “I had been teeth whitening for three or four years. In my eyes I wasn’t doing anything illegal but I had to go to court and plead guilty and I was hit with a £1,000 fine,” she told BBC Scotland. “It was just a bit of extra income. We are both retired, you’re trying your best to get on in life. And at my age, this is what I’ve had to go through. Ms McFadyen was prosecuted under the Dentists Act 1984 after the GDC employed private detectives to gather evidence that she was whitening teeth. The GDC told BBC Scotland it was protecting public safety. Head of criminal enforcement, Katie Spears, praised the fine handed to Ms McFadyen and said it reflected the “seriousness” of the offence. Dentists regularly carry out teeth whitening but private companies also train people in how to oversee the procedure. The GDC has not brought any cases against training companies but it has prosecuted 31 individuals across the UK this year. Ms Spears added: “There are big training providers who try to mislead members of the public into signing up to their training courses and buying their equipment and they make claims which are simply not true. It is unclear how many people are injured as a result of illegal teeth whitening and there is no suggestion that any of Ms McFadyen’s clients were harmed. BBC Scotland spoke to the dental hospitals in Glasgow, Edinburgh, Aberdeen and Dundee where the most serious cases would be treated. None of them had any referrals in relation to teeth whitening in the past year. But dentist Jaspal Purba, from Bupa Dental Care, has treated patients who have come to him with complications. “Allergies alone can be quite serious and can be life threatening if they begin to affect your airways,” he said. “I have seen a few cases of allergic reaction and swelling of the lips and the tongue. Ms McFadyen said she is still struggling to come to terms with what happened and she wants to warn others against getting involved in teeth whitening. “Nobody should be out doing this,” she said.